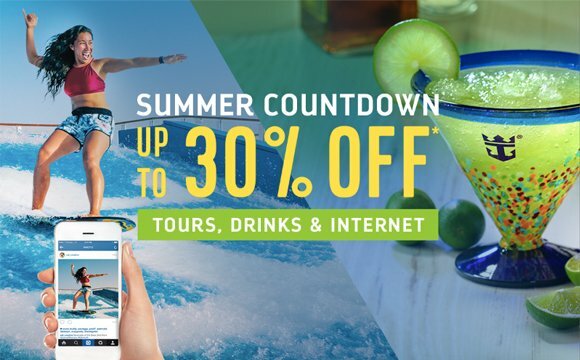 Royal Caribbean's Summer Countdown Cruise Planner sale begins today, with up to 30% off shore excursions, drink packages and internet packages. Offer applies to new purchases made June 8 - June 11, 2018. Discount applies to shore excursion, beverage, and internet purchases on select sailings departing 6/15/2018 - 12/15/2018. To check if your sailing has this new offer available, log into the Cruise Planner on Royal Caribbean's web site to view any available offers.